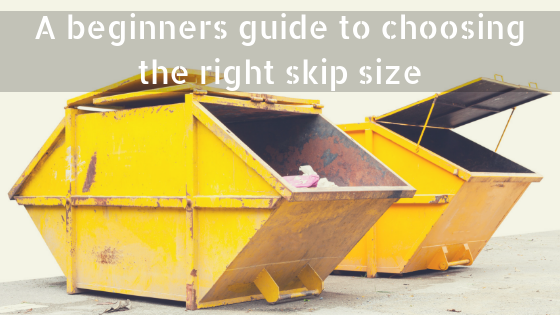 If you’re to accommodate for all of the waste generated from your project, you’re going to need to choose the right skip. Here at Skips Preston, we supply a complete range of domestic and commercial skips, making it easier for you to find something suitable for the work that you have in hand. We have developed a wealth of experience at Skips Preston and can help you to determine the best skip for your unique project, essentially saving you from wasting your money on a skip that’s too big or too small. Although we provide a complete range of skips for Skip Hire Preston, you’d be forgiven if you found yourself spoilt for choice; hence why we have put together this simple guide to help you to choose the right skip for your project! Usually, the 4-yard skips are provided for smaller projects that generate too much waste to squeeze into the wheelie bin. The mini skips for Skip Hire Chorley are the smallest domestic skips that we provide at Skips Preston but they are also surprisingly spacious which makes them great for storing garden waste and clearance waste. In choosing a 4-yard mini skip for Skip Hire Chorley, you can easily store 30-40 bin bags of waste, saving waste from being dumped illegally or cluttering up your driveway. When it comes to finding a medium sized skip, you cannot go wrong with the midi skips that we supply for Skip Hire Bolton! Our midi skips for Skip Hire Bolton are often the choice of domestic clients who are looking for a suitable solution for throwing away heavy objects that are generated from DIY projects. Finding a skip that stores waste reliably needn’t be difficult- not when the 6-yard skips can hold up to 60 bin bags of waste! These skips are provided for Skip Hire Leyland and are considered to be the most used skip across various industries. They are often referred to as “builders skips” and are great for projects that expect to generate immense volumes of waste, including heavy materials. If you’re in need of Skip Hire Leyland for your construction or clearance project, you needn’t look any further than Skips Preston- our maxi skips are designed to hold 60-80 bin bags of waste reliably. Storing anywhere between 100 to 120 bin bags of waste, the 12-yard skips are perfect for large-scale projects that generate bulky or awkward materials. As a result of these skips being so much bigger than the mini, midi and maxi skips, we can only deliver them to driveways or private property- they must not be stored on the road! To get the most out of your Skip Hire Wigan, you need to be mindful of what materials you’re throwing away because our open skips are only suitable for light materials. The 16-yard skips are the biggest skips that we can offer for Skip Hire Wigan, guaranteeing to suit any large-scale clearance project. Storing heavy materials like wood, metal and plastic on site is not recommended if you’re to sustain a safe environment, hence why you need one of our 16-yard open skips. Skips Preston caters for domestic and commercial projects alike, aiming to satisfy the requirements of everyone. As skip hire specialists, we can help you to simplify the process of waste disposal, allowing you to dispose of waste in a way that’s convenient and hassle-free. Should you require any assistance selecting the right sized skip, don’t hesitate to get in touch with our team of experts who are always on hand to help, simply call us on 01772827603 today! What are the benefits of hiring a skip and who can benefit? Why skip hire for garden renovation projects?